Welcome to Day #5 of Chocolate and Gluten-Free Cookies Theme Week. 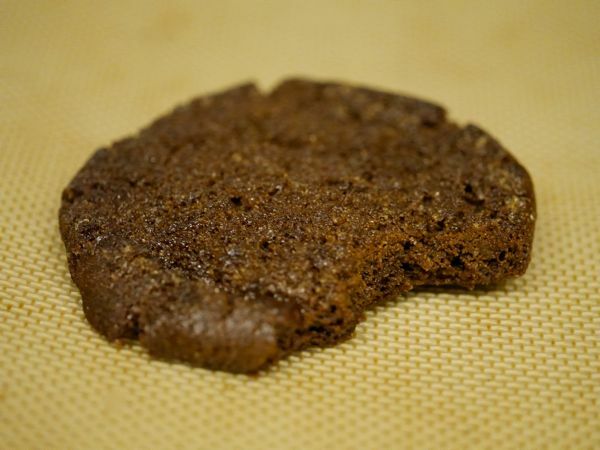 Gluten-free cookie options are more numerous now than in years past. 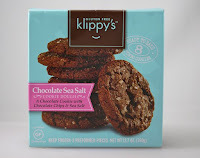 Today's Chocolate Sea Salt cookie dough offering was from Gluten Free Klippy's LLC (Santa Clara, CA). The dough came packaged in pre-formed, frozen cookie form. I placed the 8 frozen chocolate dough rounds on a cookie sheet, and baked them for 13-15 minutes. The results: fresh, hot cookies right out of the oven. 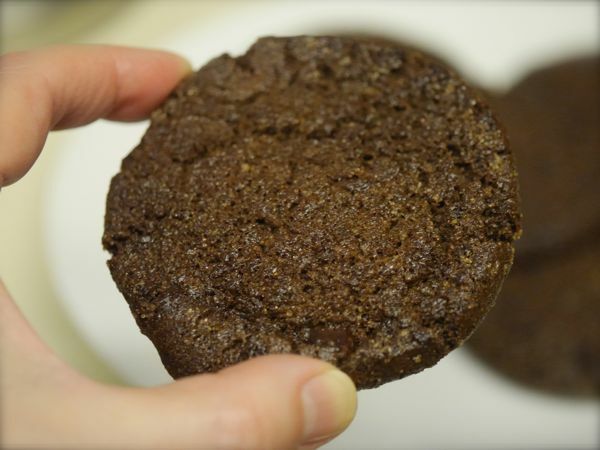 Each generously-sized cookie had a rich flavor and texture, and possessed an attractive crunchy-to-chewy ratio (65% crunchy, 35% chewy). The sea salt was very subtle. This cookie dough was easier and faster than making cookies from scratch (or a mix), and offered a warm fresh cookie experience that already-baked cookies usually can't. Also, the package size was practical. Eight cookies would be about the right number for most small households.